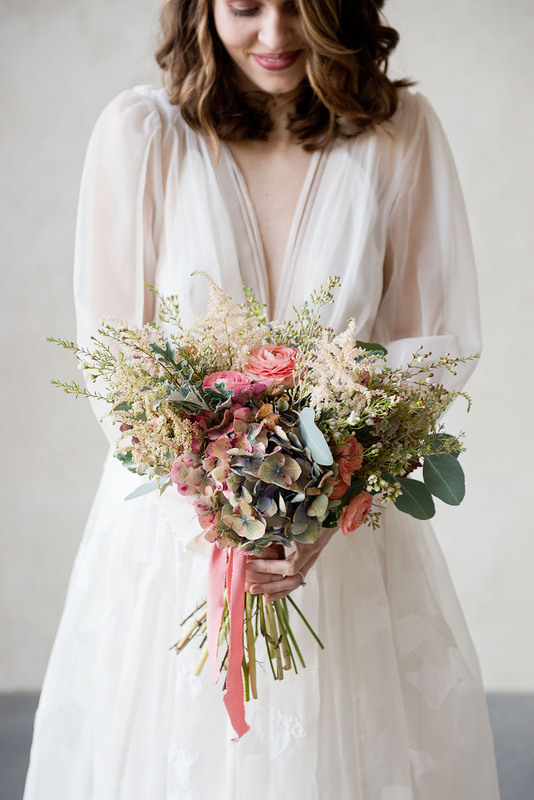 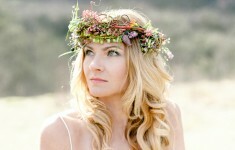 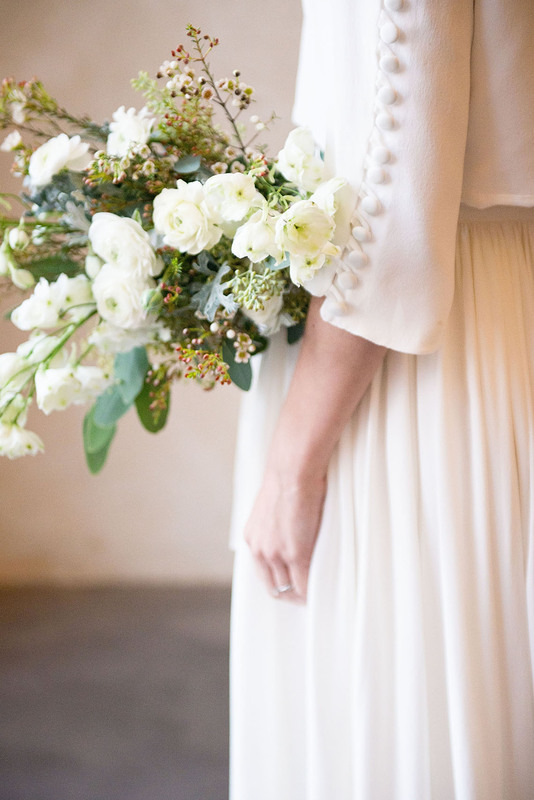 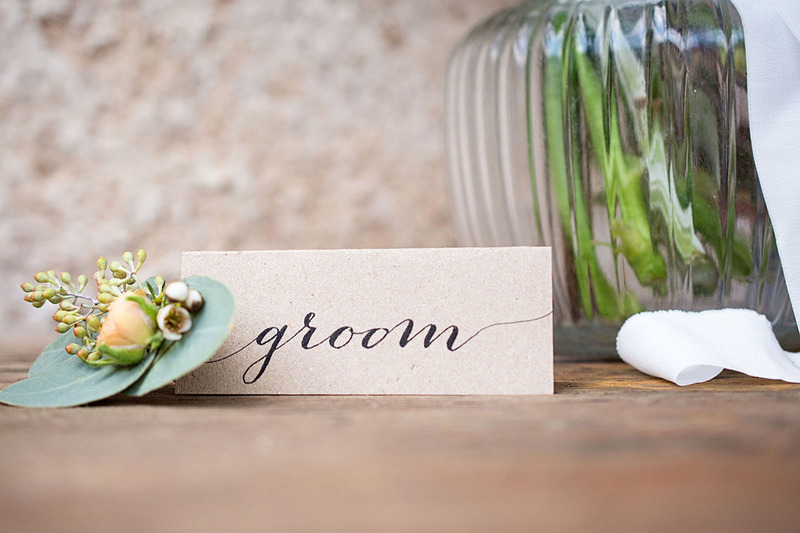 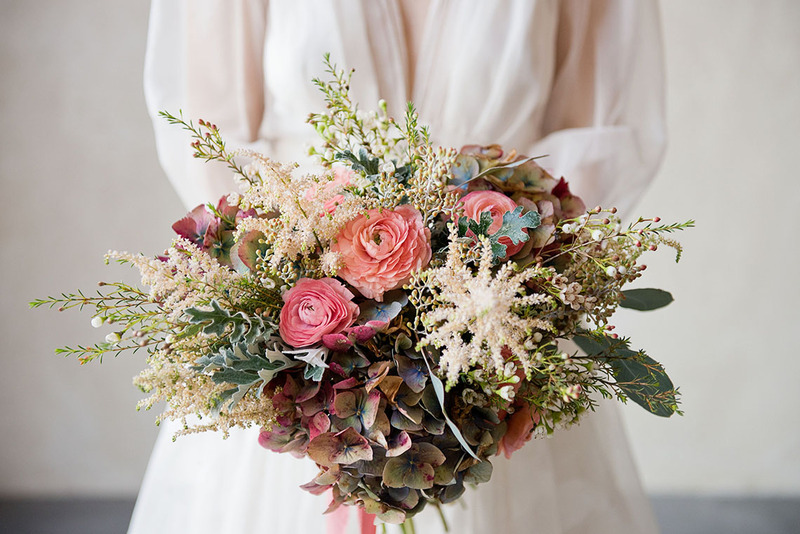 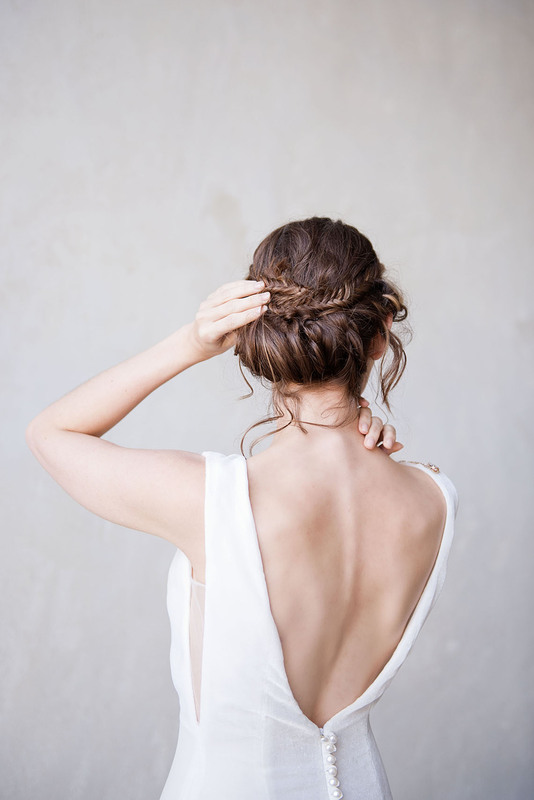 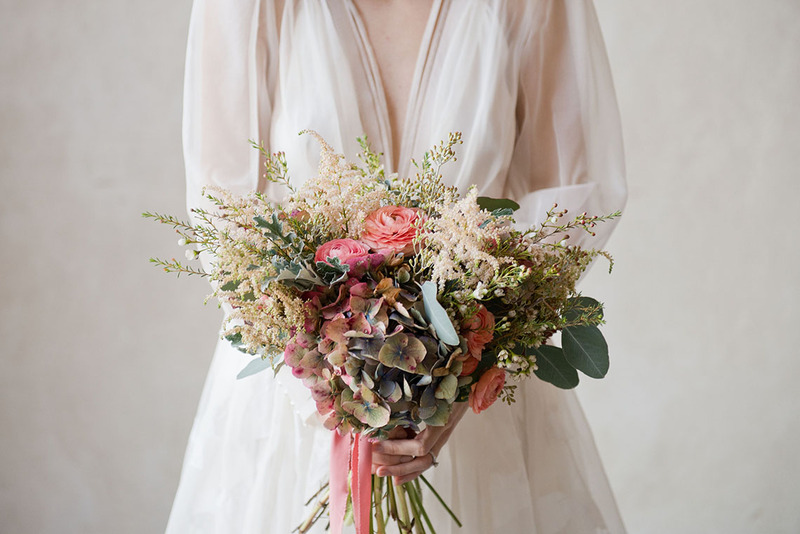 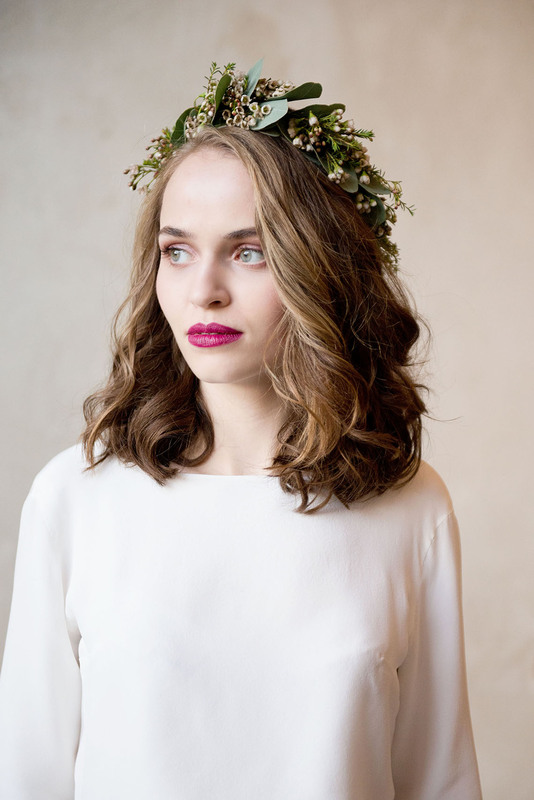 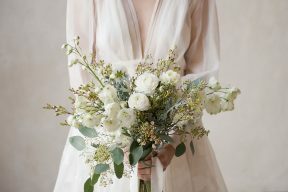 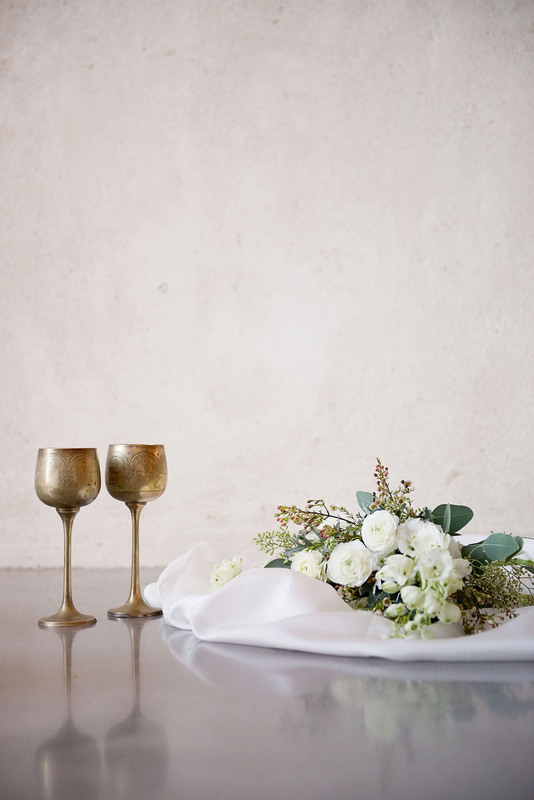 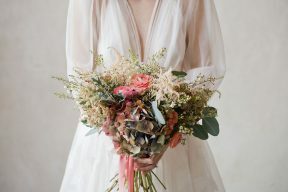 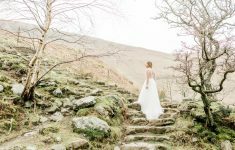 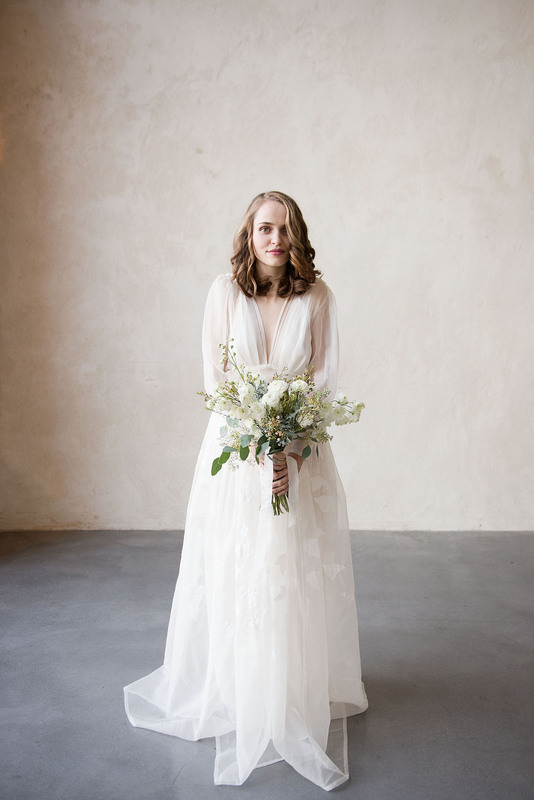 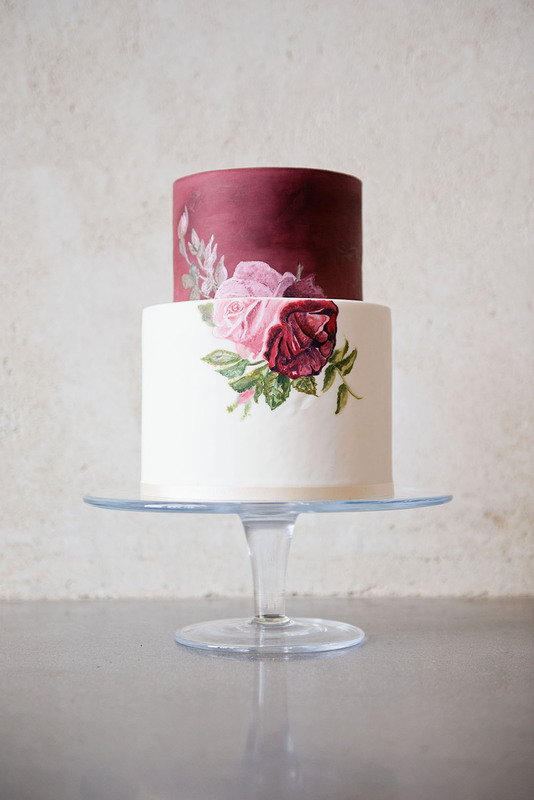 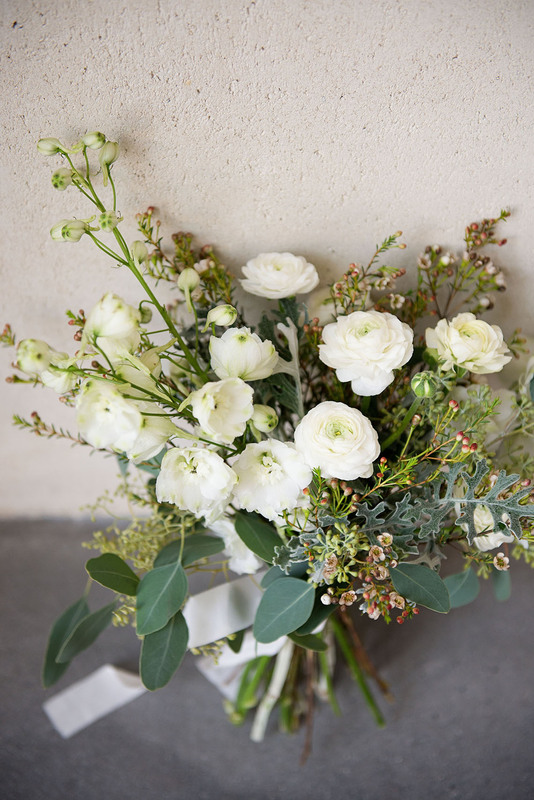 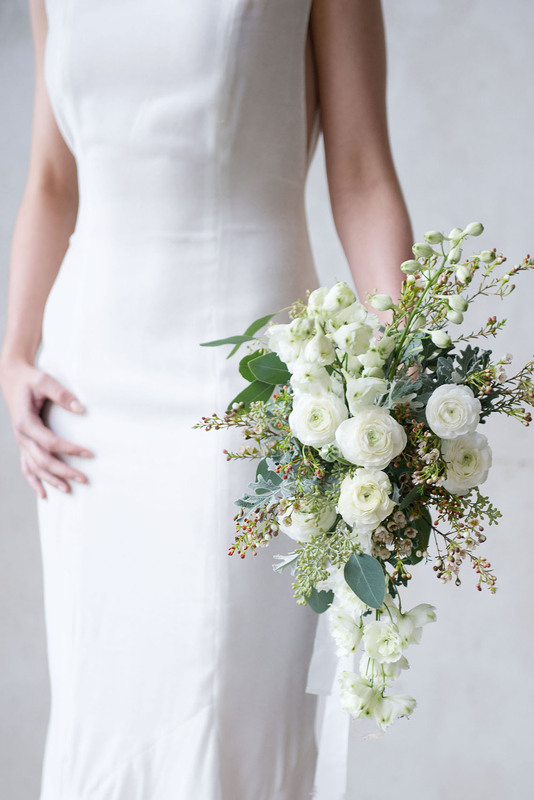 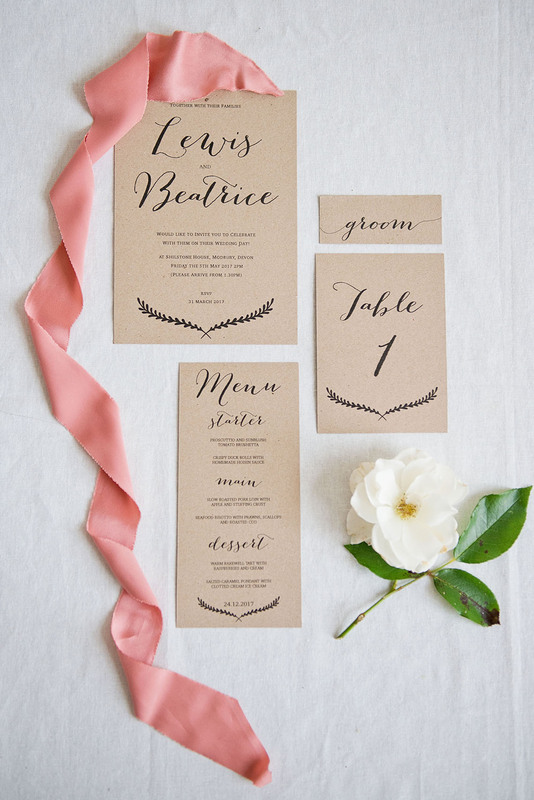 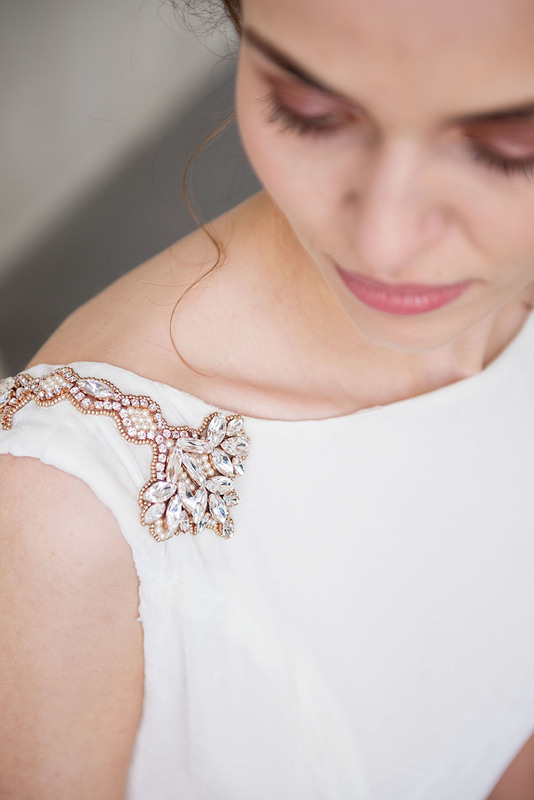 Prepare yourself for some seriously pretty inspirations today and utterly beautiful bridal looks with this shoot captured by Lottie Ettling Photography featuring wedding dresses by Ailsa Munro. 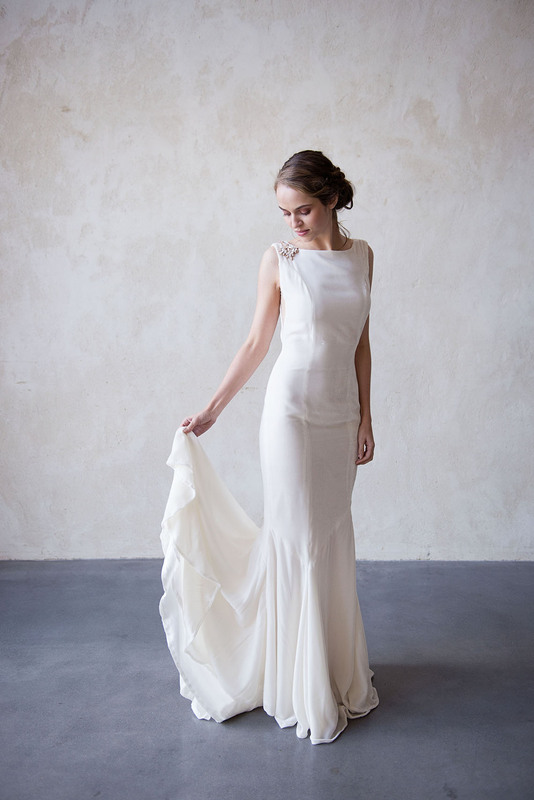 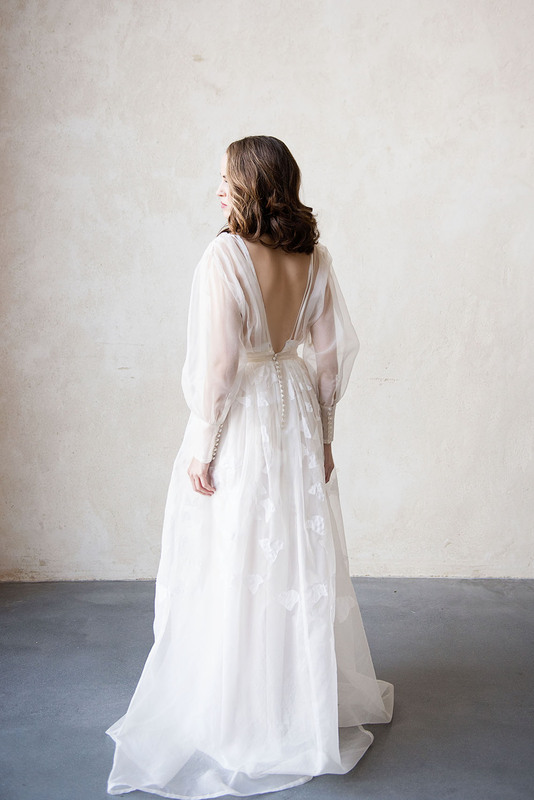 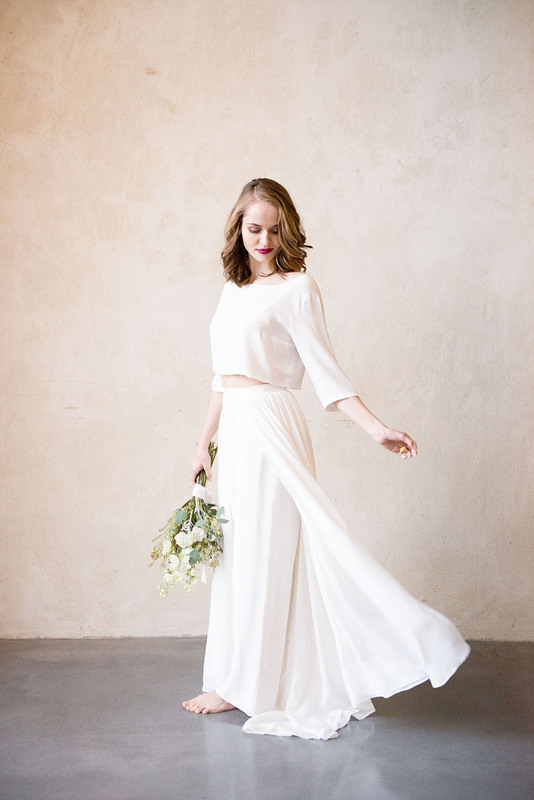 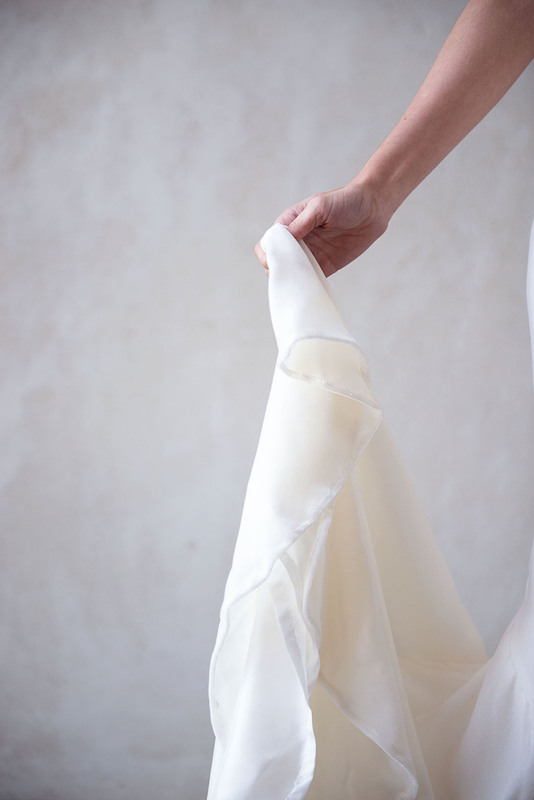 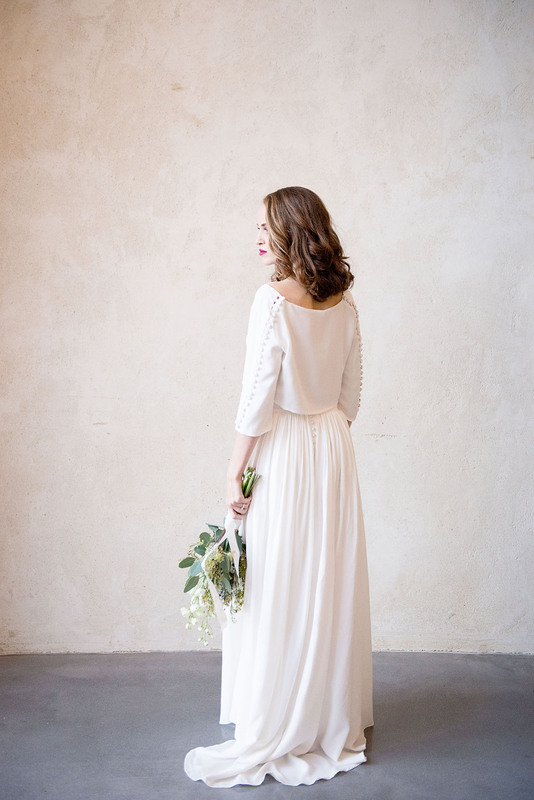 I have fallen head over heels for the divine Sovay Dress which is so feminine and elegant, with a contemporary deep V neckline and incredible sheer sleeves, described perfectly by Ailsa as, ‘billowing poet sleeves’. 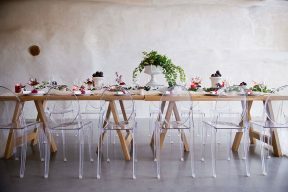 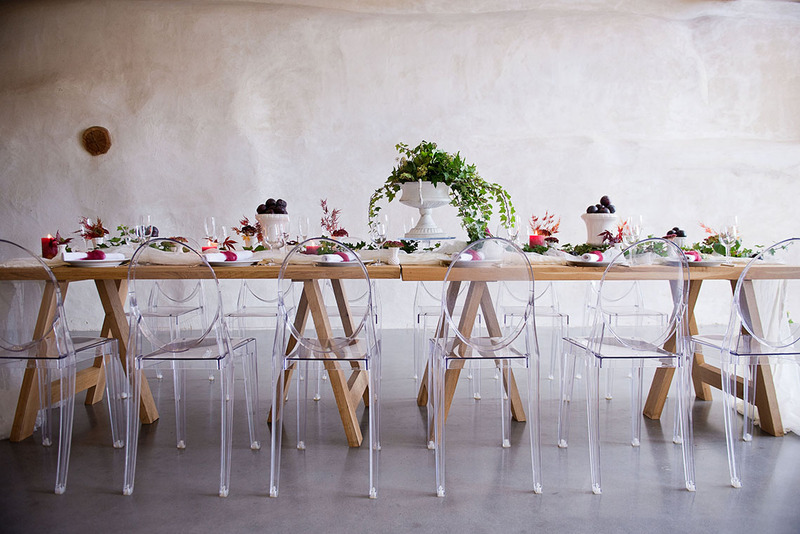 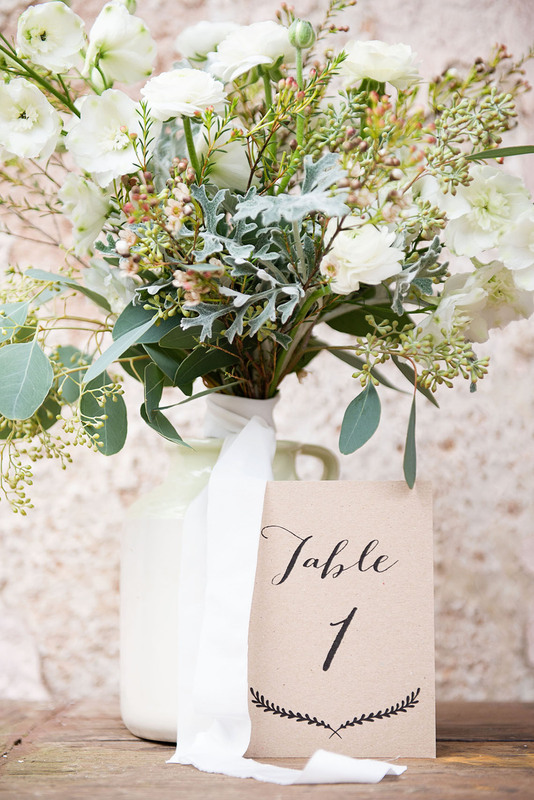 Creams, rose pink and green foliage create the colour palette for this shoot and it has a a mix of rustic chic and fine art elements which are given a modern twist with Louis Ghost chairs! 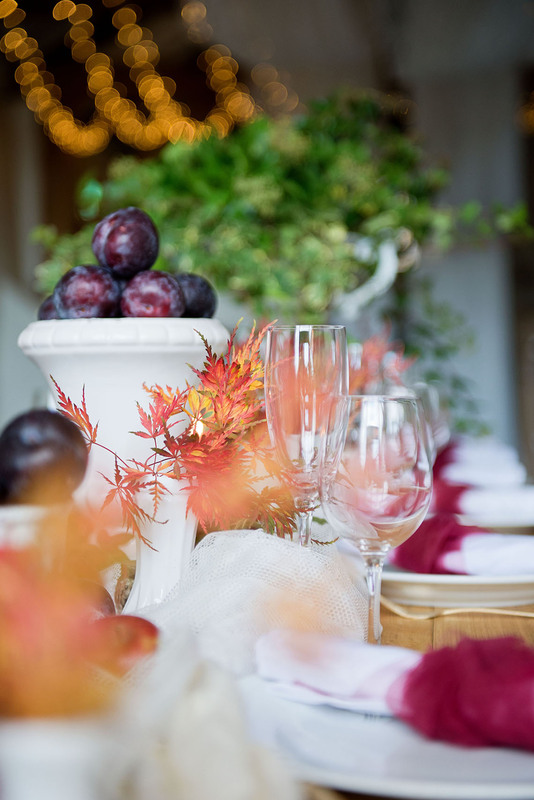 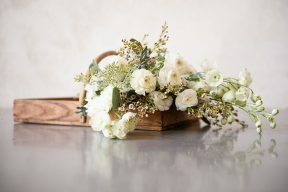 White urns create centrepieces overflowing with Ivy and stacked full of fruit whilst foliage trails along the silk runner along the length of the table too. 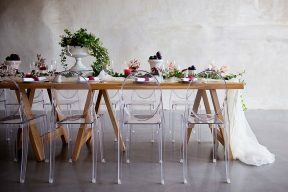 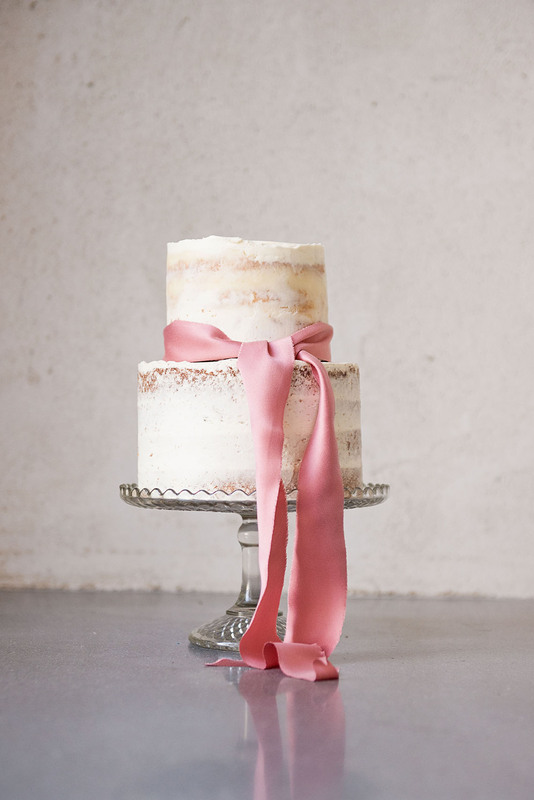 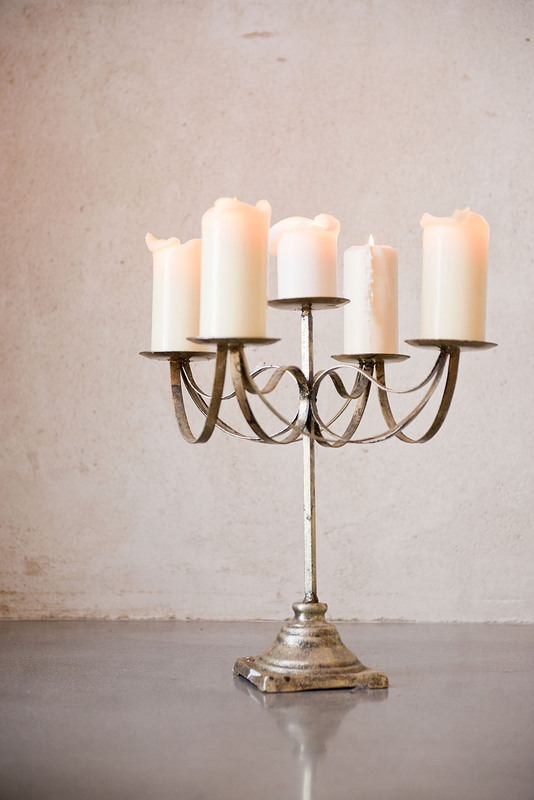 It’s just perfect for the setting of the Upton Barn!